Cég címe: 1138 Budapest Népfürdő utca 22. Duna Tower C Torony, 3. em. CE LAND asset manages local and internationally owned real estate portfolios in Hungary. 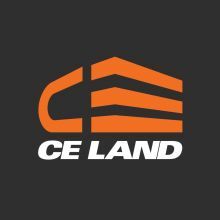 CE Land Holding Asset Management Ltd. (hereinafter: “Company” or “CE Land”) is the fastest developing real estate asset manager company on the Hungarian market. We have selected the best real estate and financial professionals in order to put together a young and dynamic expert team. Our team is coming up with creative yet financially sustainable solutions in order to answer the challenges of the current difficult market on behalf of our client. The CE Land brand and first affiliate CE Land Hungary was founded in 2006 by Hungarian private investors and the current profile of real estate portfolio asset management was taken in 2011 by establishing CE Land Holding Asset management Ltd.. The group provided an outstanding grow in asset management since 2011 both from number of employees and managing asset value. The supervisory/management board is led by Mr. Csaba Széll ‘Managing Director’ and under his supervision Anita Molnár-Széll is the ‘Head of Operation and Finance’ and Zoltán Balla is the ‘Head of Asset Management’. The Company has strong client structure of International Financial Institutes. CE Land manages EUR 370 mn total value asset to Unicredit Leasing within the board of Hungary since 2011 and 4 landmarks “A” category office buildings in Budapest in the total value of EUR 51.5 mn since 2012. The beside the above mentioned investors the Company proudly mention Erste Bank, MKB Bank, Falkensteiner Group and Valad Group as contracted clients of his in the frame of different types of contract from asset management via leasing management to sales and consultancy. 1095 Budapest, Mester u. 30-32. 7400 Kaposvár, Petőfi Sándor tér 2-3. 9081 Győrújbarát, Fő út 178.